Mrs Crafty B: Meet the Maker: Hannah of Make, Do and Push! 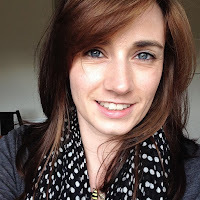 During my first year in the bloggy world, I met the lovely Hannah over at Make, Do and Push! I have followed her journey from pregnancy photo shoots to the current teething stage of her little Baby Bea. I cannot wait to see Bea's very special nursery which is being lovingly created by her Mummy and today, she is sharing some of the items that she has crafted. Tea (I can't drink coffee since working in a coffee shop at the age of 15 and being allowed as much free coffee as I liked!) I like my tea strong, no sugar. Cake… although I do love a good chocolate orange biscuit! My name is Hannah and I live in the quaint (and slightly bizarre) town of Lewes in East Sussex, with my fiancé Nick and our 3 and a bit month old Beatrice. Since having Bea I've decided that I want a small army of children, and I'm currently trying to persuade Nick that we can fit one in between now and our wedding next October (2014). I blog over at Make, Do and Push! 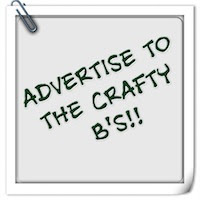 which is my outlet for all things baby and craft. When I'm not on maternity leave I work as a Business Manager…less said about that the better I feel. Anyway, I love being creative; be it writing, crafting or baking. 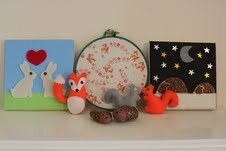 I'm sharing a few things I've made for Bea's nursery. I decided upon a woodland theme for her nursery after finding some awesome hedgehog and owl fabric in IKEA when I was pregnant. 1. The collage canvases: I love rabbits and I'm a bit obsessed with hedgehogs at the moment too, so thought it would be cute to make these. I found the canvases for £1 each and used a combination of paint, paper and felt to create them. 2. Embroidery hoop wall-hanging: I recently saw one of these on Instagram and thought it was such a great idea that I did a step-by-step blog post about how to make the one in this photo. It's so simple! I've made my mum one for her birthday next week. 3. Pebble hedgehogs: I actually made these for our engagement party (Rustic Autumn theme), but thought they'd go well in Bea's nursery. We used to make ladybird versions of these with my mum when I was little - they make great doorstops! I've been crafting all my life - I've always enjoyed being creative. My mum would always do crafty things with us on rainy days; from fimo to glass painting. However, it's only in the last two-three years that I've started making things for other people. I started sewing lessons two years ago as hadn't been near a sewing machine since school, and was a little terrified, but I'm now whizzing away - and these days - with minimal swearing! When did you start Make, Do and Push! and why? Before Make, Do and Push! 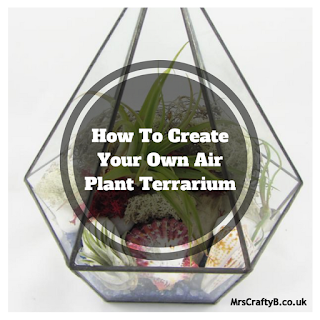 I had a crafty blog that I updated about once a month… I then started Make, Do and Push! in October 2012 as I wanted to document my pregnancy and share my journey with other people; I hoped people would read my blog and come away from it having learnt something, or at least laughed! From there it was only natural to integrate my crafting and baking - rather than having two blogs. Bea is my muse at the moment. I also love taking photos and using them as inspiration - especially with the whole woodland theme. Oh, and Pinterest - it's a wealth of crafty inspiration and ideas! People's responses to my work motivate me; it may be a bit silly, but a compliment can make my day. The legend that is Kirstie Allsopp, and the wonderful Cath Kidston - who started off the brand by making tea towels out of vintage fabric. Pre-Bea I had a crafting room… now I have a desk and a few shelves in our bedroom. I have far too much stuff though and really do need my own space - I have dreams of a studio at the bottom of the garden one day…! Finish Bea's nursery. Then I'm going to start planning our wedding - which is going to be heavily DIY! Autumn - I love the colours and crunchy leaves! Cheese! There's nothing like baked camembert and freshly baked bread. Friday. I love it when Nick gets home from work and I hand him a G&T - that's when the weekend really begins! Erdbeere (which means strawberry in German - I have a bit of a thing about German words) I also like the word "malarkey"
Tucked up in bed, with Nick, Bea and a cup of tea! Beatrice (obviously! )I also directed a full-length play in three weeks (including casting) at University which sold out both nights… rather proud of that! What a lovely read. Thank you so much Hannah. I'm sure everyone will be gatecrashing your virtual places if they haven't been already.